How To Track Your Affiliate Links - Learn How ClickMeter Works! Have you ever wondered how to track your affiliate links? ClickMeter is an amazing online tracking tool, allowing you to monitor, compare, and optimize all your ads in one convenient location, while also boosting your sales and commissions. It’s like your own personal marketing guru! Affiliate links and commissions are the meat and potatoes of internet marketing. 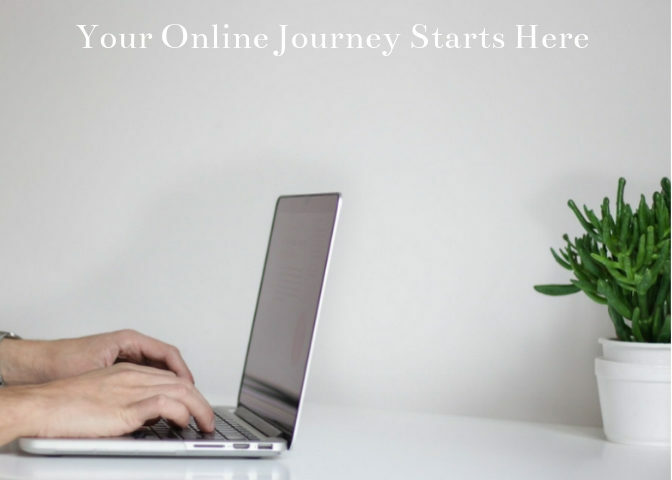 Being an affiliate is a great way to make money online, and you’ll want to see how many of your links are being clicked, along with your conversion rate. ClickMeter, a powerful and affordable web-based tool, allows you to see what is happening behind the scenes of your business through link tracking and link cloaking. If you are a video marketer, with your own YouTube channel, you can check how many views each of your videos have generated, determine where your traffic is coming from, and where your videos are being shared. This is valuable information, letting you know which videos are the most popular, and the demographic that is viewing them. You can then capitalize on this information by promoting your most popular videos. You begin by choosing a destination URL. 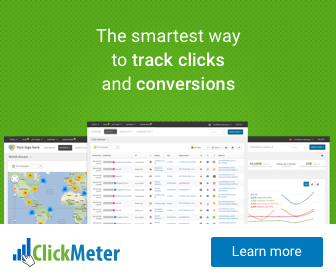 ClickMeter then provides you with a short tracking link, replacing the original URL. In the example above, the destination URL leads to a landing page. You can see that instead of using that link, they’ve used ClickMeter’s new link to track relevant information. Note how the link is used in a tweet. Whenever someone clicks that link, ClickMeter will automatically register how many times it’s clicked. Other pertinent information is provided as well, such as, the validity of the click, which website, city, and country it came from, and whether or not it resulted in a conversion. You’ll be able to see all that information in your real-time marketing report. This information allows you to analyze and compare the varying marketing sources you’re using to promote your business. You can then determine which campaigns most warrant your time and effort, enabling you to get the most out of your investments. ClickMeter saves you both time and money as you can effectively understand, monitor, and utilize your online marketing strategies to your advantage. Essentially, it helps you make sound marketing decisions based on the information it provides. ClickMeter gives you the ability to monitor your campaigns in real-time and in one place without having to install any software or coding. It’s easy to create an account, you can cancel at any time, and there is a 30-day money back guarantee if you decide it’s not for you. Try ClickMeter’s free membership to test it out, and get a feel for how it works. You’ll get 1,000 clicks per month, and 500 more if you refer someone. 1. Go to ClickMeter.com to get started. Click the green “Get Started” button. Typically, in order to track, monitor, and redirect links, you’d have to use more than one tool. With ClickMeter, you’re buying convenience, while also saving time. Essentially, you’re paying for one-stop shopping. In the destination URL field, fill in the web page you want to be tracked. It could be your website, landing page, or one of your social media accounts. The other fields are optional, you can name the campaign if you’d like, and fill in the “Friendly name” field with a name correlating to your campaign. You can also further customize your link in the “Options” section. 5. You can now use this tracking link, instead of your website URL, to track all your clicks and visits. All user information will be stored in the “Reports” section of your ClickMeter account. That’s how quick and easy it is to create a tracking link! Let ClickMeter be your marketing partner. It’s an amazing tracking and monitoring tool, allowing you to see which of your campaigns are worth spending time and money on. You can learn more about ClickMeter here. If you’re an affiliate marketer? How do you track your clicks and conversions? Please take the time to leave a comment or question below, it helps all those reading this post! ClickMeter is a great tool to keep your links organized. Thanks for reading! I’m just recently getting into the affiliate marketing industry and it’s tough to manage every aspect of my business. This method definitely allows things to be a little easier! I particularly like that you mentioned ClickMeter because it’s so versatile and offers a great deal for the free plan that beginners can really utilize/scale. You’re right. It is tough, there are so many aspects to affiliate marketing. ClickMeter is versatile, and I love that it offers a free plan so users can try it out before purchasing. Thanks for commenting! Great article Holly. I’ve often wondered how I can track links and ClickMeter looks like a very handy tool to do so. I currently track links through a few different methods… I use my marketing automation tool to track link clicks in emails and site visitors… I use bitly to track link clicks on shortened links… but I don’t really have one tool to capture them all. ClickMeter is a handy tool. Sounds like you’ve got a good system for tracking your links! Why did I not know about this sooner! So ClickMeter can track all clicks no matter where you post them? Thats awesome. With regard to an affiliate program, you mentioned if you refer someone you get an extra 500 clicks? Is there any cash commission for promoting this program? I’m interested to see how many clicks I get from social media. My google analytics does this already but I would like a break down my platforms: I post on facebook, twitter, instagram and Pinterest. If I understand correctly, ClickMeter would give me a breakdown? Visit ClickMeter’s website as they do have an affiliate program you can join. Yes, it will give you reports on all your social media campaigns. Click Meter looks like a really useful addition to any affiliate marketers arsenal. It is useful to know where your traffic is coming from so you can work on improving the source. Love the video tutorial that shows exactly how Click Meter works. Do you know if there is a way of trying this product out before paying any money for it? You’re absolutely right. ClickMeter is a great tool to have in your affiliate marketing arsenal. ClickMeter offers a free membership where you can try it out to see how you like it. The first thing that came to my mind when I learned about about ClickMeter is how much time this can save me. I have a lot of articles with a lot of affiliate links, and i’m not aware of which ones are working better than others. I schedule my work time in batches meaning one day I will devote to writing my content, and the next day I will devote re-editing my content and making it look nicer, the next day I might want to devote to focusing on which campaign are working best. I wouldn’t be able to do that effectively unless I had something like ClickMeter to make me aware of what are my best campaigns are. ClickMeter is for sure a great time saver!